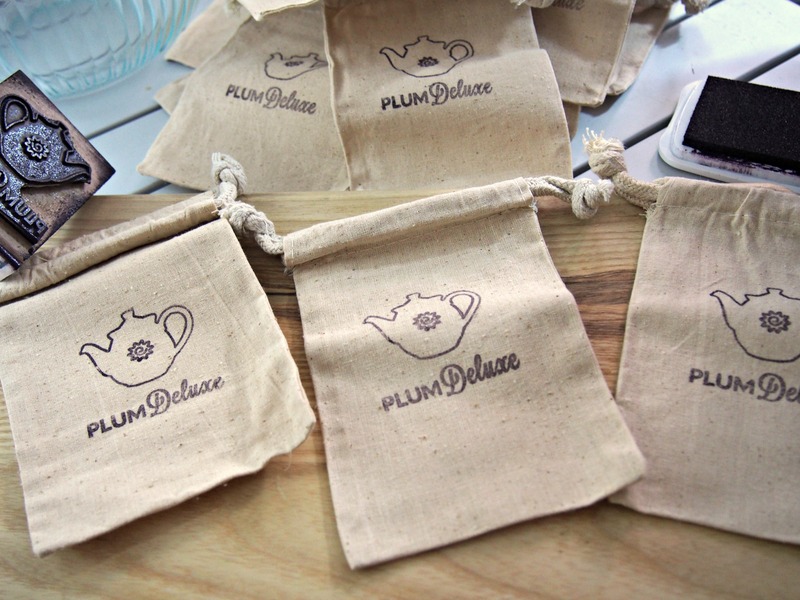 A few weeks ago I had the opportunity to try this tea from Plum Deluxe. I loved the Oregon Breakfast tea (I know call me boring) but this one had such a great robust flavor. I love a good black tea, and it was not your typical Tazo tea. The Chai tea that I tried smelled incredible, as most chai teas do, and again the flavor was just enough different that this one stood out as well. The way Plum Deluxe works is through a Tea of the Month club. 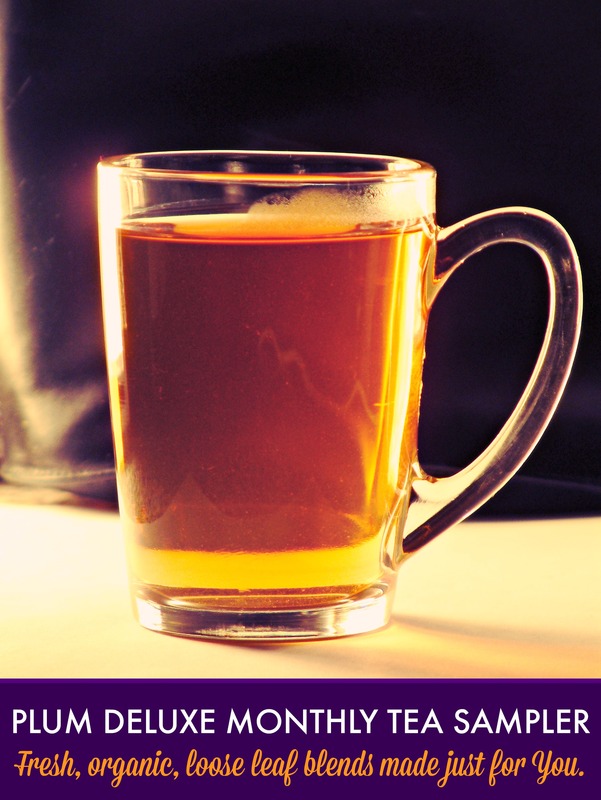 This is a great option for those tea drinkers that are always looking for something new. Our tea of the month club ensures you always have a fresh, thoughtfully chosen tea on hand. For only $10/month subscribers receive 1 oz of a custom seasonally-perfect artisan tea made just for the club, as well as a 2nd tea sample. Subscribers also enjoy access to a robust and supportive private tea lover’s community, tea-inspired recipes, discounts on extra teas and supplies, along with surprise gifts and treats throughout the year. 3 Months to the Tea of the Month Club. For 3 months loose leaf tea will be delivered right to your door. What if I am so excited and I can’t wait to order this to see if I win or not? Easy enough. If you win, the 3 months will just get added onto whatever you ordered, since orders can be in increments of 3, 6 and 12 months. The giveaway will close Monday at midnight. We will do a random drawing on Tuesday morning and I will announce it here on this post and on my Facebook page. To enter just leave a comment on what tea you are most excited about trying? You can see the whole list on the Plum Deluxe site. Comments can be left here or my Facebook page. Congrats to Jenni. Enjoy your tea. The self care tea blend looks good. I like apricot flavors. The Creme Carmel sounds awesome! The Deluxe Pumpkin blend sounds perfect for now! Love creamy dessert teas, so would love to try the Plum Delux Creme Caramel… perfect time of year for it. Either of the dessert teas or the Oregon Breakfast tea! But so many sound fantastic. The Portland Rose City Chai sounds so yummy! These teas all sound scrumptious! Would love to try Vanilla Latte because I love all things vanilla. Also Sunshine in a Cup because you just can’t beat that name. Love all the deliciousness you share, Amy!